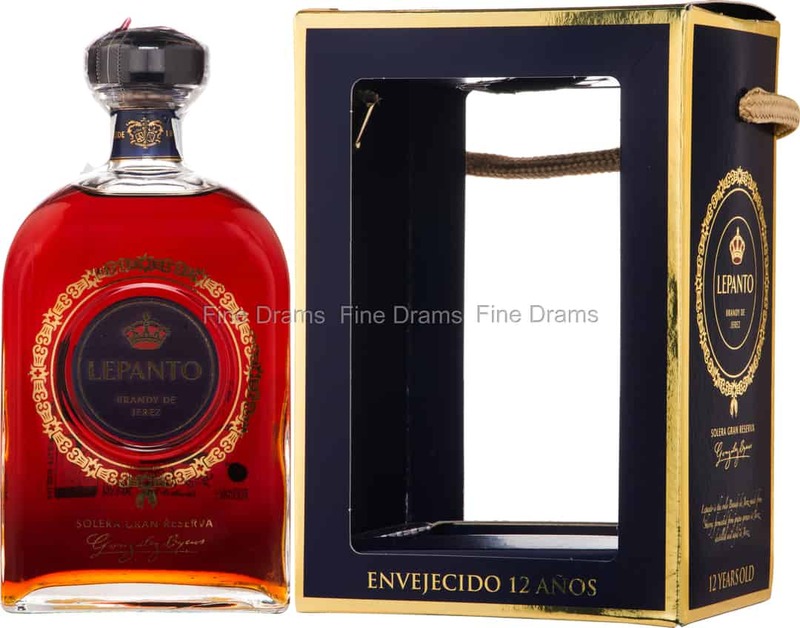 Produced by Gonzalez Byass, the world-famous sherry company, Lepanto is a high quality Brandy de Jerez, from Spain. Gonzalez Byass are one of the biggest names in sherry, and produce some of the finest fortified wines on the planet. The company approach the production of Brandy de Jerez with the same level of dedication and commitment to quality. This Brandy is made from Palomino Fino, the same grape which is used to produce Tio Pepe sherry. Palomino Fino is the hallmark white grape of Jerez. These grapes are grown entirely in Gonzalez Byass’s own vineyards, located in Jerez Superior, the finest part of the region for the cultivation of grapes. Lepanto is distilled in traditional Charentais style stills, which are often used in Cognac production. After distillation, the spirit is aged in a sherry-style solera system, maturing in American oak butts that had been used to age the Bodega’s sherry. The first 9 years of this brandy’s maturation are spent in former Tio Pepe butts (a dry style of sherry) with the final three years spent in butts that formerly housed 30 year old Oloroso Matúsalem VOR. This maturation ensures the brandy has a good balance of sweetness and dryness. The result is an exceptionally complex brandy, with notes of toffee, nuts, vanilla, grapes, dried fruits, cinnamon, nutmeg, cloves, citrus rind, flint, and a touch of balsamic strawberries. A truly excellent brandy, which showcases Gonzalez Byass’s meticulous methods.